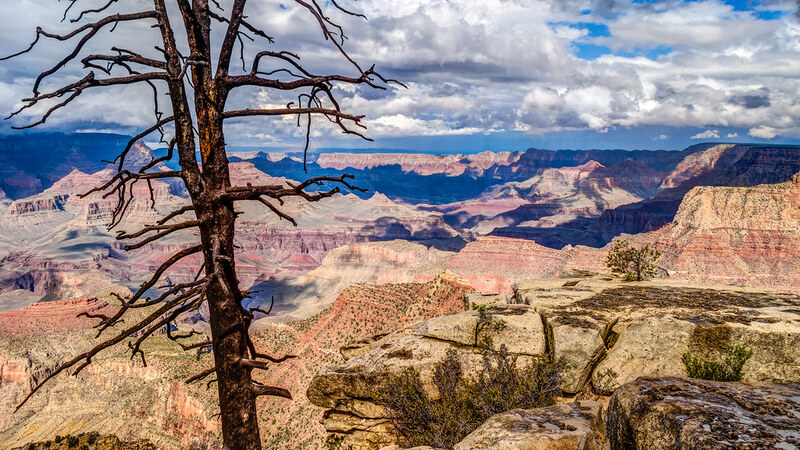 Grand Canyon National Park is an enormous and colorful canyon that is 277 miles long and is a world wonder. 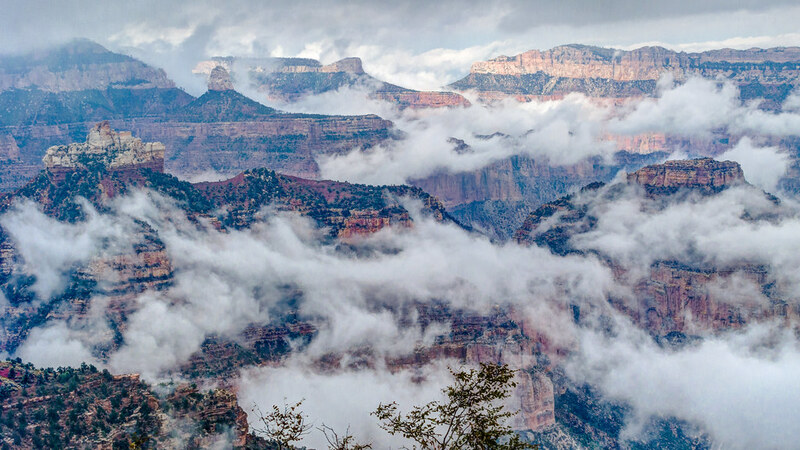 We visited the North Rim during a rain storm that brought stunning cloud formations into the myriad canyons. As we headed for the South Rim, the storm was clearing and the cloudy sunshine made for mottled red and orange canyon scenery.